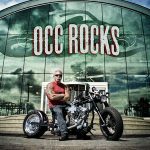 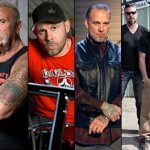 Paul Teutul Sr. from OCC, once again finds himself in the spotlight, this time it’s for building the worlds first totally green custom motorcycle that was commissioned by Siemens. 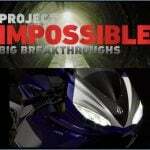 Some features of the bike include: a clutch-less transmission, 27-horsepower engine and a top speed of 100 mph. 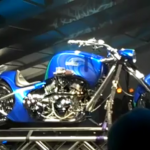 You can plug the bike into a standard 110-volt plug, takes 5 hours to fully charge and has a 60 mile range on a full charge. 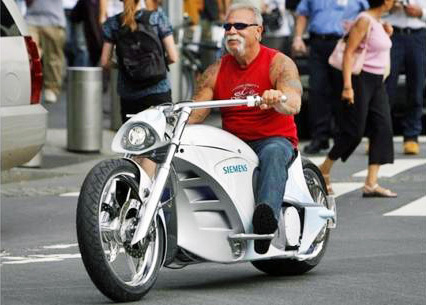 The Siemens Smart Chopper will go on tour this year to help promote green technology and will be auctioned off for charity at some point next year. 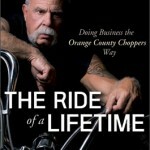 See the interview with Paul Teutul Sr. after the jump.